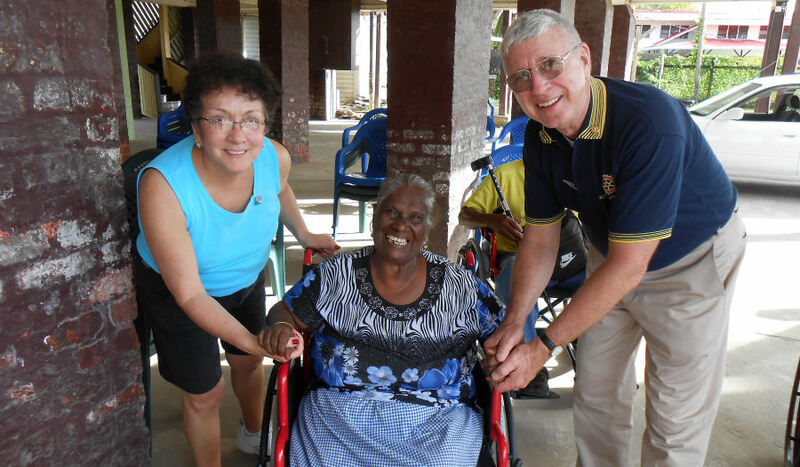 Thank you for the commitment of the Club and the members to support the Rotary District 7570 Wheelchair Project. We will make a difference for many we will never meet. To insure the accounting of the gifts and the recognition of the donors, we offer the following instructions for the contributions of the Club and Club members to be received by the District. Contributions received from members will be collected by the Club Treasurer. The checks will be made payable to the Club so that the treasurer may deposit and write one check for the total contribution to the District. The Club treasurer will record each gift on the Multiple Donor form for the District Wheelchair project (Found on the District web site). For each contribution, the membership ID (obtained from the Club secretary or on the Club recognition summary) is listed with the name of the donor followed by the contribution amount. Contributions from the Club may be recorded using the Club number as the membership ID and the Club name as the donor. The Club Treasurer will write one check for the total Club contribution made payable to the Rotary District 7570 Wheelchair Fund. Be aware that the recognition points on the member’s record will not appear on the member’s recognition points summary until the Check is deposited and recorded with Rotary International. This may take a couple of months. The Rotary Foundation credit the appropriate number of recognition points of each donor toward a Paul Harris Fellow. Thank you for your service to your Club and to this project.Your efforts are greatly appreciated!